The life of a pastry chef can be tough. Long hours standing in the basement, flour dust, oils for baking, frosting everywhere, especially…on the floor. It makes for moving in the pastry department a dangerous event. So, on top of the amount of joint compression from standing in one place at your station, the addition of the potential slip and fall to deliver that baking tray to the oven makes for a lot of stress in your joints. Something that can lead to the wear and tear on your body that everyone gets in life, a whole lot earlier. Arthritis is an inflammatory condition that affects many joints in the body. 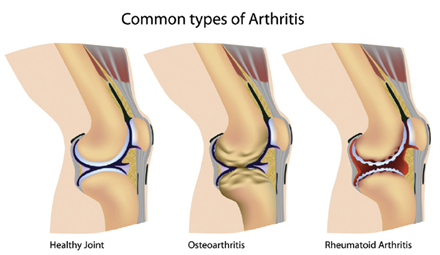 There are two main types of arthritis: osteoarthritis and rheumatoid arthritis. This article is going to discuss osteoarthritis, which afflicts almost everyone at some point in their life. Rheumatoid arthritis is more of an immune system issue which leads to systemic inflammation in the joints. There is also gout, which is another type of arthritis caused by crystals being deposited in the joints. 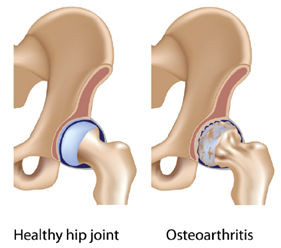 Osteoarthritis can affect all of your joints, but most commonly it involves the weightbearing joints since those joints receive the most compressive forces and ‘wear and tear’. ‘Wear and t ear’ refers to the chronic use and then eventual breakdown of healthy tissues. Osteoarthritis is also known as degenerative arthritis, or degenerative joint disease. Two bone ends coming together make up a joint. The bone ends are covered in a type of cartilage, called articular cartilage. This type of cartilage exists so that as the two bones move over one another to produce movement, there is a frictionless surface and a smooth motion. The movement of the two bone ends also moves the fluid that exists in articulating joints, which helps nourish the joint. Arthritis can be found in both young and old. Juveniles are typically afflicted with juvenile arthritis (which covers a multitude of different conditions in those less than 16 years of age). Osteoarthritis affects the middle to older population. It is not gender specific nor does it discriminate by race. It can also be determined by your genes. I have treated a 70 year old who ran his entire life and had almost no issues with any of his joints. On the flip side, at age 35, I was diagnosed with R hip arthritis and now at 39, also discovered that I already have neck and hand arthritis. Causes of arthritis can be from overuse, high intensity sports play, obesity, and aging. Women are more likely to develop arthritis, but it is unclear as to why. It can occur earlier in life in athletes or those who sustain an injury or have undergone surgery. A sedentary lifestyle and a repetitive job can also predispose you to arthritis because cartilage relies on joint use for nutrition so both underuse and overuse will increase your risk for developing it. Arthritis is characterized by pain and inflammation in the joint. There is swelling and limited range of motion. It is worst in the morning or after prolonged periods of positioning, when the fluid in the joint becomes ‘stagnant’ with immobility and beginning a movement hurts. It is the like the Tin Man in the Wizard of Oz. He needed oil to lubricate his joints so that he could move freely. It is the same concept in the human body. The movement of fluid and the nourishment of the bone ends mean painfree movement but in arthritic joints, getting to this place requires a little jump start. Treatment options for arthritis start with conservative management, like physical therapy. The initial phases focus on reducing pain and inflammation and maintaining your muscle strength and range of motion. As the inflammation calms down, progressive resistive exercises are given. These include strength and endurance exercises as well as stability and proprioceptive exercises. Return to sports includes sports-specific movements and agility drills. Most of the exercises are aimed at the extensor muscle group of the joints as these tend to weaken the fastest. In specific, the glutes (or hip extensors) and the quadriceps (or the knee extensors). Great exercises that work both of these muscles as well as others include steps, squats and lunges. These exercises also disperse the forces that go through the arthritic joints making the movement and weight bearing much more tolerable. Other therapies include oral medications for inflammation and pain as well as the use of heat or ice. If the inflammation is active and the joint is hot, swollen and painful, use ice. If it is cold outside and your joint feels more stiff than painful, use heat to help loosen the tissues and move with ease. Massage is another beneficial therapy that can help loosen the surrounding muscles and take the pressure off of the joints as well as allow the muscles to function more appropriately. These are the tools you have at hand that you can do on your own so don’t forget to use them. Managing arthritis requires a regular home exercise program as well as physical therapy. Have a physical therapist design an exercise prescription for you. Make sure that it includes variations as well as progression for the stages of arthritis and your state at that time. Those that do not respond well to conservative therapy try more aggressive prescription medications, joint injections and possible surgery. The goal is to eliminate pain from the degenerated joint and maintain or restore range of motion and muscle strength. Return the patient back to their activities of daily living, recreational activities and work place activities with as minimal pain and limitations as possible. The passion of being in the kitchen to produce sweets and the demands on the body are extensive. It can be managed and now you know what your treatment options are or who to call, so keep on toiling away for the after dinner specials! Karena Wu is a New York State licensed physical therapist, a graduate of the program in Physical Therapy at Columbia University and owner of ActiveCare Physical Therapy, located in midtown Manhattan. She has advanced training in manual therapies, specifically in Maitland Joint Mobilization and Myofascial Release. 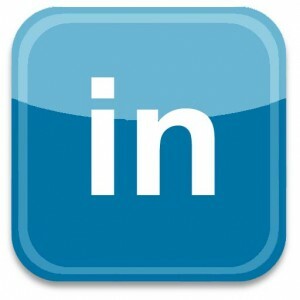 Karena is certified as a Strength and Conditioning Specialist, Kinesio Taping Practitioner and Pilates Instructor. Best PT NYC Karena Wu featured in August 2012 Dessert Professional–My Elbows Hurt, But I Do Not Play Tennis!